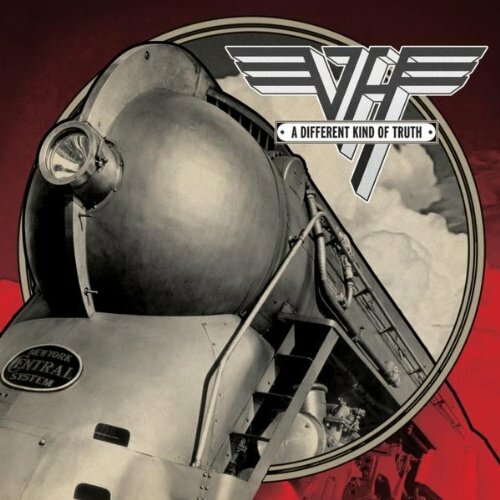 The first new Van Halen record in __ years. For some, it's the first record since 1984 when our hero Diamond David Lee Roth departed the band for a solo career and increasingly bizarre behavior. For others, it's the first since Sammy Hagar left the band following Balance. If you want to be technical about it, we have to admit it wasn't just a bad dream and Gary Cherone did sing on a(n alleged) Van Halen album in the late '90s. Either way, it's been a couple minutes. I'm not sure what to make of reaction to the record in some camps. Didn't we all want Dave to get back together with the band? Isn't this what we've all been waiting for? I know, excluding Michael Anthony in place of Eddie's kid is stupid but are we really going to let that get in the way of an album we've wanted for damn near 30 years? Some people seem to be holding the missed decades against the band and I get that... to a point, because once you listen to A Different Kind Of Truth it becomes clear this is the record they would have made, then or now (and that's before we take into account several of these songs are reworked versions of leftover demos from Roth's first stint with the band). Eddie's still a one-trick pony but his six-string sorcery remains immediately recognizable and exhilerating. Sure, David Lee Roth has lost some hair and range but he was never a powerhouse vocalist and he's still a wiseass with cornball humor and Vegas shtick. It can be silly, sad, and pathetic for a 57-year old man to still be this sophomoric but it beats the alternative. Do you want to hear the David Lee Roth Mideast Peace Plan? Do you want him to talk about his feelings? Not me. I want his love to remain rotten to the core and I'd prefer he still not talk about it. I don't want him to bare his soul or get in touch with his feelings. Some artists should grow up. Dave is not one of them. The album takes its name from a line in "Bullethead," one of the more memorable tracks on the album that brings the snarling, dark riffing of vintage Van Halen and pairs it with a rasping, rapping Roth as he spits smartass observations with abandon. That same sinister sound is the heart of the riffing and shredding of "As Is," and the solo is taken right out of the Eddie Van Halen playbook but Roth's singalong-shoutalong lyrics feel more stilted and forced and the jokes aren't as much fun. I'm still the only person I know who likes "Tattoo," although TheWifeToWhomI'mMarried finally relented and accepted it after 200-some odd playings in the living room, car, etc. It's both awesomely bad and bad in an awesome way. "China Town" and "Big River" are forgettable songs but are palatable foundations for Eddie's guitar solos. "You And Your Blues" pushes Roth's range too far and it's a shame because the tune works otherwise. It seems Wilco has the pulse of Van Halen's A Different Kind Of Truth: the art of almost. Truth is an almost memorable trip through days gone by; it's almost fun, good, and great and at times it's almost an embarrassing trainwreck. It's flawed and forgettable and yet there is an oddball charm and magic woven throughout. It could have been more and it could have been much less and over the course of 13 songs and 51 minutes it veers towards both of those extremes, and in a perverse way that's what makes the album quintessential Van Halen. At their peak, they were always about the excess, extreme, and the absurd. It was true then and it's true now.